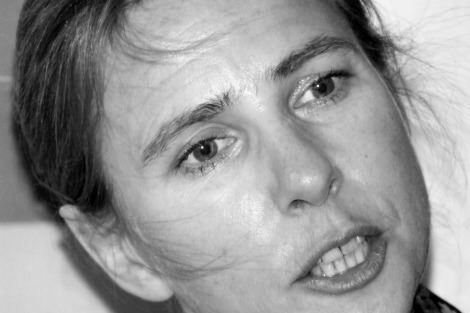 A little over a year ago, Lionel Shriver delivered the opening address at the Brisbane Writers Festival, where she notoriously derided political correctness and defended the practice of cultural appropriation by white writers. A little over a year ago, I wrote a blog post responding to what she'd said. I wrote it while I was walking to the train station, while I was on the train, and while I was walking home from the train station. I was angry, but I somehow managed to temper my anger. I didn't expect anyone to read my post, but they did. My friends Yassmin and Suki also wrote about it, and got far more negative attention for their words. Their pieces, and Shriver's responses (as well as the responses of those who were defending her) sparked a worldwide conversation about whether or not cultural appropriation was acceptable, and a slew of internet comments claiming we were trying to censor other artists. To be clear, we weren't trying to censor artists at all. We didn't say writers couldn't exercise their imaginations and write whatever characters they want. We were (and are) saying that if writers want to include characters of a different race, they should do so with respect; that they be willing to accept criticism if they haven't done their research, or if what they've written is wrong or offensive; and that if someone of that race or community tells them they shouldn't be writing that story, they take that advice onboard. And now, a little over a year later, I am back. I have been part of the Brisbane Writers Festival in many capacities over the years — as a patron, a volunteer, an intern — and at this year's festival, which ran 6-10 September, I was lucky enough to be a festival artist, to contribute (even if it was in a minor way) to the conversations that were being had at and around the festival. This year's festival didn't attract any real controversy, but the memory of last year's opening address still lingered. Little jabs and references were made to That Shriver Incident in some of the panels and conversations I went to see, and even though everyone seemed to acknowledge that what happened last year was Not Good, parts of that mentality still live on. "Maybe it was far-fetched to think it would take only a year for attitudes to change. Maybe it will take another five, or ten, or 20. But I hope they do change." It was evident in the white people who continued to ask insensitive questions about race, after listening to two black women talk about intersectionality for the best part of 45 minutes. It was evident, too, in the white people who asked if it wasn't a good idea for white people to write stories from the perspectives of Aboriginal people because it would provide a wider platform for those perspectives, without considering the ways in which this would contribute to the marginalisation of those writers, or undermine their ability to own and share their own stories. There were all sorts of well-meaning white people who didn't recognise when they should just sit down and shut up. And I dare say this is reflective of society in general. One year on from Shriver's appearance and the discussion it generated, it's disheartening for me to say I don't think much has changed. People are still defending the right for artists to appropriate other cultures in their work, and asking what the big deal is. There are still instances of blackface, yellowface, and people dressing up in clothes native to other cultures — and people who are extremely defensive when called out on their actions. Maybe it was far-fetched to think it would take only a year for attitudes to change. Maybe it will take another five, or ten, or 20. But I hope they do change. I hope that over time, we will all learn to be respectful of each other's cultures. I would hate to live in a world that remains stagnant in such toxic beliefs. Well said Yen-Rong Wong - many good points made which need definite attention. This is one reason why being able to see & read articles about Manus Is from Iranian Kurdish journalist Behrouz Boochani who is imprisoned there is so important. Behrouz also managed to create a documentary using a smartphone which he got in exchange for his shoes - the opening of which is at the London Film Festival. The film "Chauka, Please Tell Us the Time" exposes the reality of life on Manus. It featured at the Sydney Film Festival in June 2017. Behrouz was denied a visa to attend the premier in Sydney, but hopes to attend the London screening. It is "a voice of 2,000 children, women & men who have suffered under torture for more than 4 yrs & we want the world to hear their voice". Behrouz needs support so he can attend (1.a visa to enable to attend - will Dutton/PNG let him go - so pressure from others would be good, & 2. practical assistance to help pay his fare there, so that he can be present & answer questions. Writers band together for the good of your work & this country! "There were all sorts of well-meaning white people who didn't recognise when when they should just sit down and shut up." Yes. I still see the "aren't the natives cute" attitude, or "Isn't it amazing how talented they are" – so well-meaning, so patronising, so still showing. I'll shut up now. Is the concept of cultural appropriation such an article of faith that an opinion piece in support of it must appear in ES under ‘Religion’? Didn't the 'Elena Ferrante' affair, where the 'intersectionality' of gender and class in pseudonymously written novels about poor Neapolitan women received great acclaim for many years from, well, intersectionals of gender and class, until the authoress was outed (by a white male journalist) as a rich Roman Jewess, show up 'cultural appropriation' for the nonsense that it is, not the least because the chief defenders of pseudonymity were intersectionals of gender and class who did not want to know who 'Elena Ferrante' was because they wanted to keep the magic of books that could stand on their merits? As to "and that if someone of that race or community tells them they shouldn't be writing that story, they take that advice onboard", if a poor Neapolitan woman had told Anita Raja, the presumed author, not to write about women who were culturally dissimilar to her, should she have listened to them? This Leftish fad for cultural appropriation is equivalent to fracking for virtue to be signalled. Oh, Mr Chen Yee, you do ES a grave disservice. They are, as publishers and editors, as involved as you and I in the taking of sides in all sorts of cultural, ethical and political debates. Only their methods are more subtle than yours and mine, because their opinions are secreted behind the veil of patronage, the famed inscrutability of the Jesuits, and, who knows, perhaps even the seal of the confessional. Not for nothing were Max Walsh (Ern Malley) and Elizabeth Durack (Eddy Burrup) Catholic icons in their day, who spectacularly fell foul, in the former instance of a notorious hoax, and in the latter of a fictitious adopted epistemic Aboriginal identity. There are long histories and attendant ghosts waiting to be unravelled and exorcised in this fascinating corner of religious commentary.